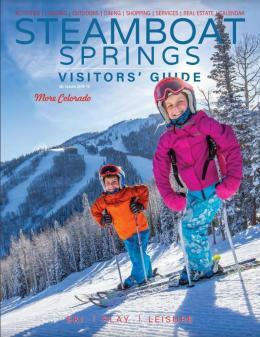 The Steamboat Springs Visitor Center is located at 125 Anglers Drive (across from McDonald's and Starbucks off of Hwy 40), or you can call us at (970) 879-0880. Saturdays - 10:00 a.m. - 3:00 p.m.
Below is a list of various services and needs the Steamboat Visitor Center fulfills. If you have specific questions about these services please contact us at the number/email above. You can currently request a 2018-19 Winter Visitors&apos; Guide via mail or download. These gift cards are redeemable at many Chamber member businesses. For additional info and a complete list of businesses accepting gift cards, please visit the link below.